Do you remember this photo, that I tortured you with for months and months? Well off it went to the British Quilt & Stitch Village at the start of April, went on display at the end of April, came back here because the exhibitors apparently couldn’t read the entry form where it said where to post it back to, languished in the sorting office for 2 weeks while I was at Market, and then, finally, got sent to my dad for his birthday. 4 1/2 months late. Whatever. The quilting on this gave me fits. FITS! It was pieced in January, but then I started quilting the centre part and didn’t like the spiral in the middle. Twice. So I unpicked it. Twice. Then I consulted quilting guru Troodles and we decided I needed to go bigger in the centre. Having sorted the middle, then I had the triangle sections. Ugh. My first attempt at this wasn’t great. I was trying to carry across at the end of each line, but with the variegated light grey thread, black borders and dark blues, the stitches at the end of the line were super visible. So then I tried stitching all the way round in black to try and hide it (I’d done both ends in the grey thinking this would work). And then when that spectacularly failed I tried cutting the threads at the end of each line and burying the teeny ends. So I got about 3/4 of the way through that exercise when I realised that the first ends I’d ‘buried’ had started to pop out. And then I had a small temper tantrum. Feet were stamped. Toys were hurled out of prams. And then I grabbed the seam ripper and frogged every.single.stitch. And then I started again 1 row at a time. And then I buried so many more ends my hand got cramp. Satisfactory on quilting?! I’ll take it with bells on! Given that I was a little flak happy when I got to machining on the binding, I’m surprised that got a good lol. Overall I’m happy I didn’t get any ‘Needs Attention’, and it turns out the recipient likes it, so that’s a winner on its own! The recipient love it, you love it and I think it is stunning. So who cares what a judge says! Lovely what you made out of a rainbow! What cheeky monkey said ! Love it! It's like a mental test card for the telly (are you too young?) – bravo! Very cool! I like it alot! Great job! From the pic, it looks like the quilting is more than satisfactory. masterpiece honey. and well done you for persevering with the quilting, i'd have cried i'm quite sure!! P.S. 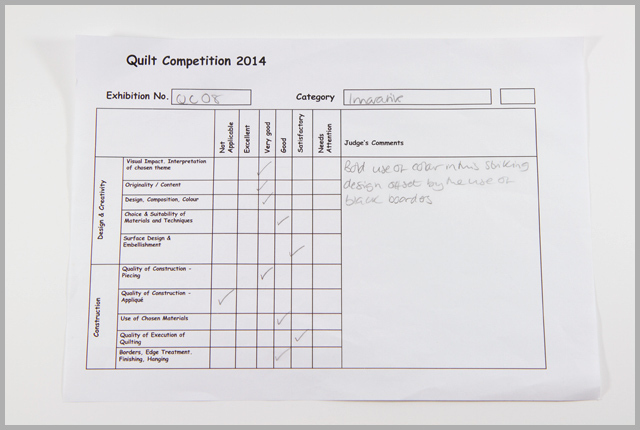 Well done – I think the quilting is much more than satisfactory. The rainbow stack turned into a butterfly!! 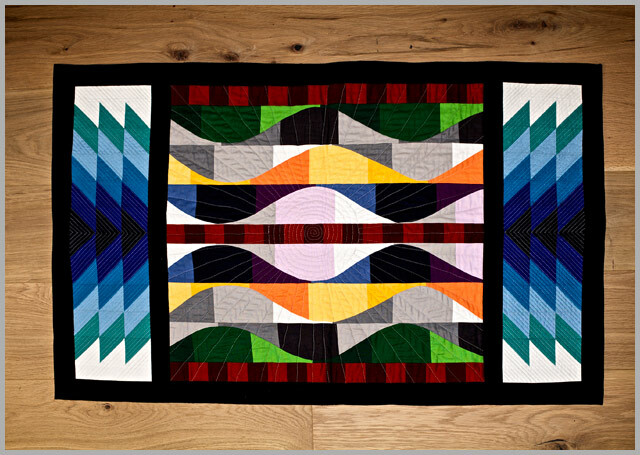 This is such a great quilt. 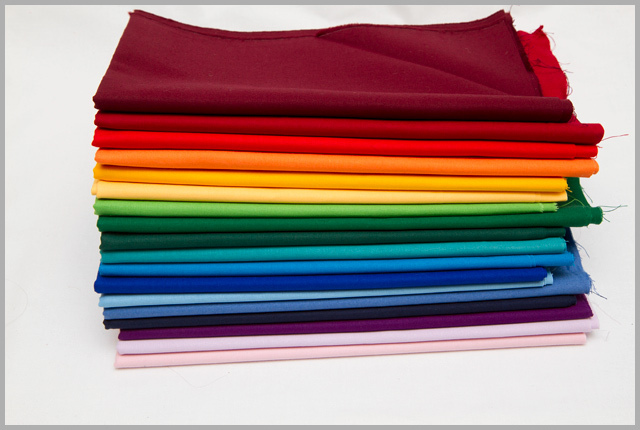 You are so good for perservering with the quilting, it looks fabulous!! I bet your dad feels like the luckiest dad ever. I would have given it much higher marks, it is fantastic and your dad is lucky to get it! wow, what a stunner! It's such a perfect quilt. It's even more fab in real life! Satisfactory….hmmm, no comment. If the recipient loved it that is all that matters. It is a very bold design. OH yes, the recipient loves it. Only problem is which wall to put it on! Another way of looking at 41/2 months late for my birthday is that it's a few weeks early for Fathers' Day! It looks great. I don't envy you all that unpicking though! I think it looks great, love the way it flows and ebbs. Hallelujah! The last pic of that rainbow bundle! The quilt was definitely worth the wait though it is fabulous. It is absolutely lovely! And of course your dad loves it! Clever girl – particularly love the centre and all the quilting. I can't believe you didn't hoy it out the window during all that quilting/unpicking!! It's fabulous! And finished, hurray!! How did I miss this page when It posted?!! What a stunner! I kid you not, I am sitting in a tearoom havin a cuppa, you know, and just gawked!! My cutie waitress asked me what I was looking at, and i showed her the pic of your dad's quilt, and she gawked, too! and then showed 20 other people. Everyone here is now happy and smiling. So see there?! Wonderful!